The Power Air Houdi uses the new material, which Polartec says will shed five times fewer fibres than other high-quality fleece and a fraction of standard fleece. The company said it is a milestone in the quest to limit microfibre release into the oceans. Polartec also announced a collaboration with two leading companies with the goal of using recycled material in all its products. The firm said Power Air is the first fabric technology engineered to reduce microfibre shedding. Polartec chief executive Gary Smith said: “Houdini shares our commitment to taking meaningful actions that improve the sustainability of our products, supply chain and business practices. Polartec encapsulates lofted fibres within a multi-layered, continuous yarn fabric construction, offering advanced thermal efficiency that is said is proven to shed five times less than other premium ‘mid-layer’ weight fabrics. Houdini design director Jesper Danielsson said: “As we joined forces with Polartec to innovate the next generation insulation fabrics our intention was clear – to take on the issue of microfibres while simultaneously elevating performance. “The launch of Power Air is a true milestone. 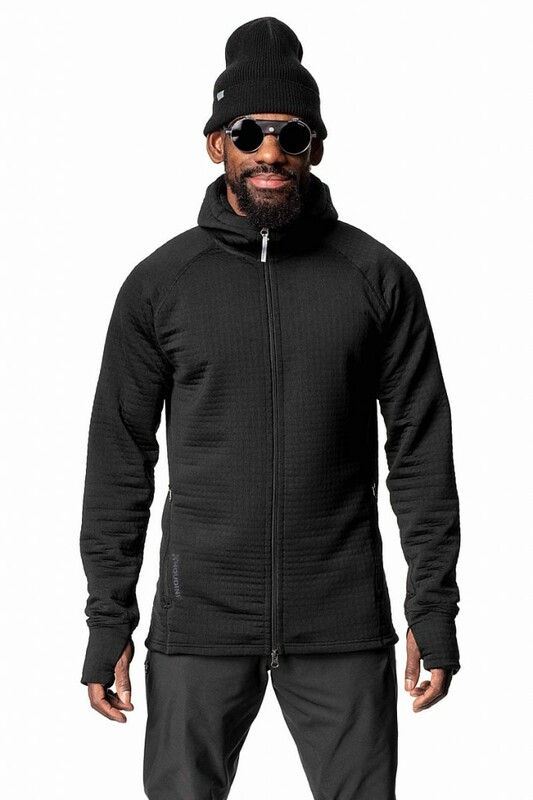 After intense ideation, research and development and field testing we can finally present the end-result: a next generation stretch insulation garment with superior layering comfort featuring an air-trapping fabric strictly made out of continuous filament fibres. Houdini said it has been working on limiting fibre release since 2013 when its first filament fibre garment was launched. Polartec said Power Air fabric has a low-friction surface, has great durability, is bluesign-certified and made from 54 per cent recycled polyester. The Houdini Power Air Houdi went on sale today. Polartec also announced it has teamed up with two sustainable textile companies in its quest to use 100 per cent recycled materials across its full range. Its Eco-Engineering initiative involves collaboration with Unifi and Intrinsic Advanced Materials and combines the latter’s CiCLO technology with Unifi’s yarn products to promote biodegradation of polyester and nylon, as well as applications in polyurethane, sea water and landfill conditions. Polartec said the goal is to create the world’s first fully recycled and biodegradable fleeces and breathable waterproof membranes, as well as other knits and insulation fills. Gary Smith said: “By collaborating with the best in the business, Polartec is committing to the pursuit of a future where everything is eco-engineered to use recycled inputs and to be biodegradable. Polartec created the first performance fabrics made from post-consumer recycled plastics in 1993, and began collaborating with Unifi in 2006.
ok recycled to procuce continuous fibres.